Can you tell us about your label and how Red Revival got started? 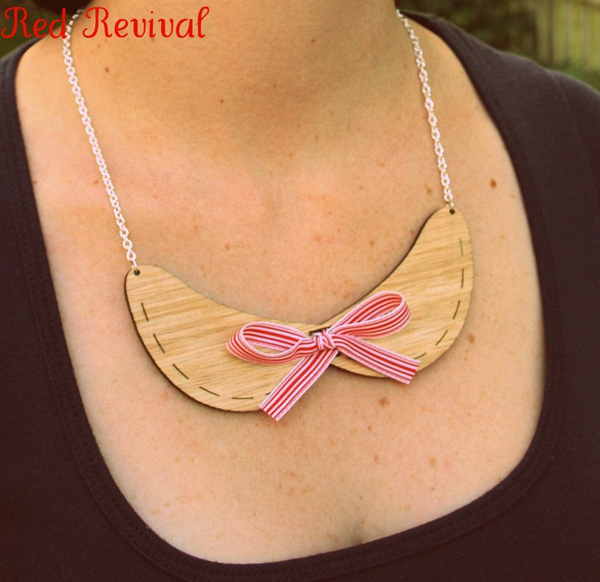 Red Revival is the culmination of 4 years of exploring different crafts from sewing to silversmith and wood working. 2 years ago I fell in love with all the possibilities I could pursue with laser cutting and I took the plunge and bought “Sparky” my Epilog laser and we’ve been having fun ever since. We are always trying to do something a little different to the run of the mill. What is your background and how did it steer the direction of your brand? It seems like an eternity ago but I did an arts degree at the University of Queensland with majors in Art History and History. Somehow I ended up in Banking (not many openings for a professional art historian) and worked my way up to a job in treasury working in Foreign Exchange and Interest Rate Derivatives. However my heart was always with a more creative kind of life so when I had the opportunity to take time out and build the brand I grabbed it. What is your creative process, and how do your surroundings influence your work? I am constantly reading this biography or that, and my love of history even extends to vintage TV I’m afraid to say. I’ve always been fascinated with vintage style and aesthetics and I hope I bring a modern twist to the mix. Our home is a mish-mash of treasures found as near as down the road on hard rubbish day and as far away as Argentina. My studio is always a mess of samples and sketches not to mention images and text from just about anywhere stuck to the walls. I don’t subscribe to a theory that a label must stay in this “style” or that, I think what ever makes you enthusiastic about creating at any given time will speak through your work. 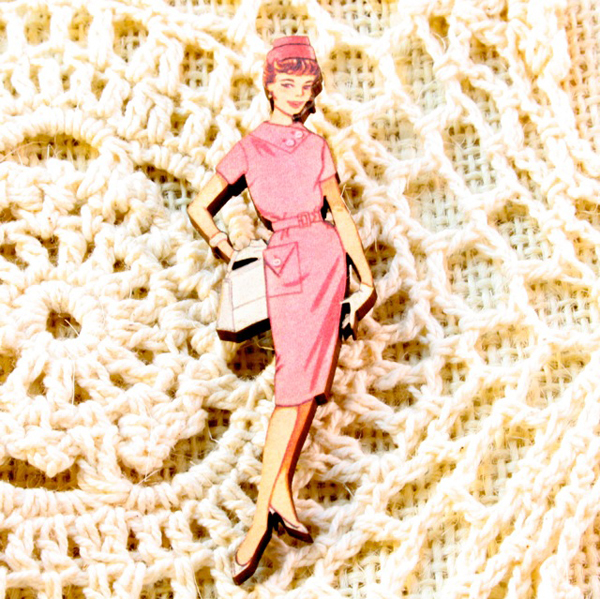 What other vintage style labels are you loving right now, and what are some of your favourite blogs? 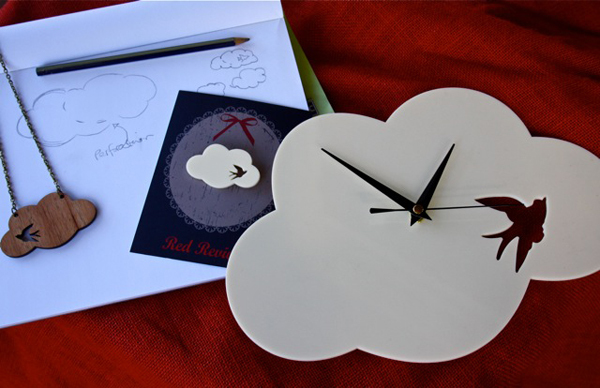 I’m a big fan of Local labels such as Re-Read and the Storybook Rabbit who evoke that air of childhood nostalgia. I am also loving the retro designs of Uncle Phuncle with those 60’s lines and peter pan collars. Internationally I’m a sucker for Anthropologie and cute retro style clogs from Swedish Has beens. I love blogs that can transport you with images or provide a crafty project, two of my favourite local blogs are “The House that AM Built” she has such a lovely sense for interiors, and Simone from “Beach Vintage” with her lovely use of colour and clever projects. 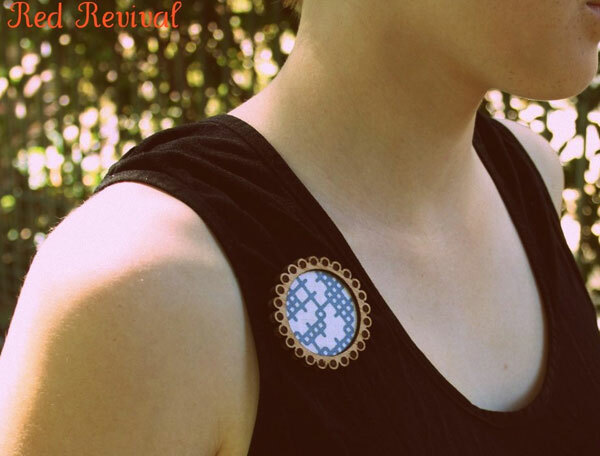 What are some of your popular items, and where did the inspiration come from? 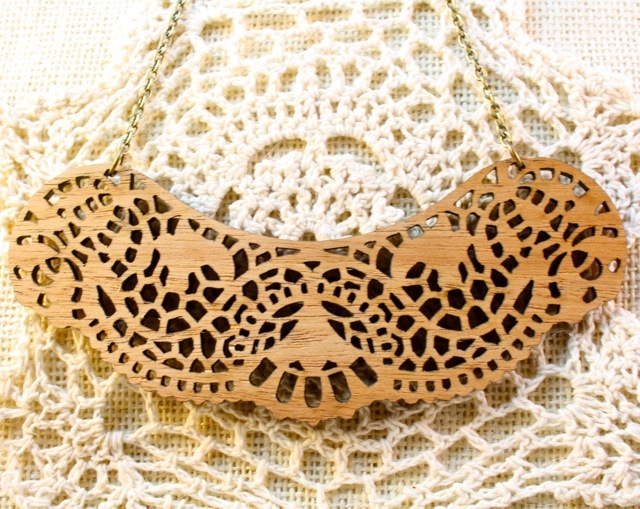 One of our most popular pieces is our lace bib pendant cut from either Maple or Walnut. 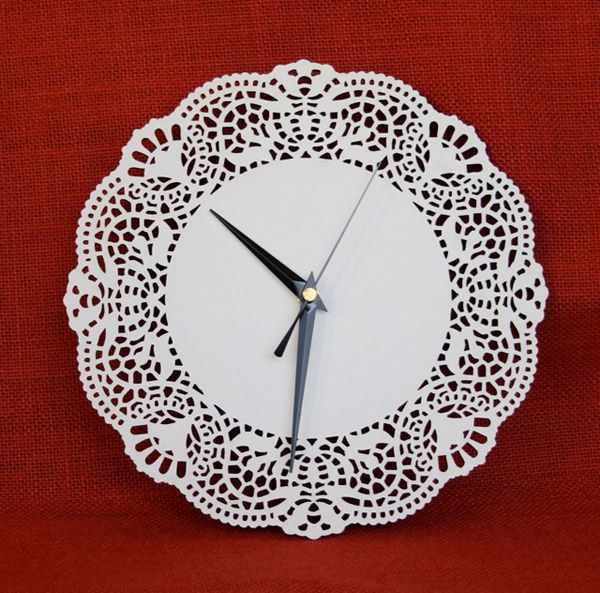 The inspiration for this came straight from our crowd pleaser the doily clock. It was actually at the first day of the Spring/ Summer Finders Keepers Market in Brisbane last year when the idea came to me and I stayed up until 2am the next morning perfecting and cutting the first ones to bring to the market on the second day (yay for coffee). I love playing with intricate patterns like the lace in this pendant which can become such a statement piece. It’s going to sound like such a cliche, but really and truly it’s the people you meet. I have got to meet such a vibrant and fabulous bunch of designers and crafters in our local creative community. I have been privileged to collaborate and learn from designers like Thea Samios of Thea and Sami and Sophie Stratton Ferrier from Strat Designs. I’ve also been blessed with some fabulous stockists and customers who have become lovely friends. At the end of the day though I realise how lucky I am to be able to play with ideas and designs in my head and then make them a reality and earn a living doing what I love. I bought your lovely cream cloud and sparrow clock at Finders Keepers on Sunday and it looks marvellous on my green wall. Thank you!